Born in Gifu City, Japan, Eiji Mori moved to the United States to enter the restaurant industry. He joined Innovative Dining Group (IDG) during the company’s initial stages and has since helped the business thrive, having taken on numerous leadership roles. He previously held the title of sake sommelier for every restaurant in the Innovative Dining Group (IDG), which includes the widely acclaimed Katana Restaurant on the Sunset Strip in West Hollywood, California. 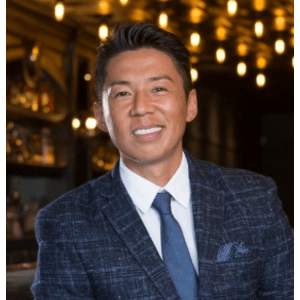 Eiji Mori now serves as executive general manager of Sushi Roku Newport Beach, which is located on Newport Center Drive. As the restaurant’s general manager, he maintains responsibility for training staff to create a top-quality dining experience. He also intends to curate a fine selection of sake to pair with fine Japanese food to give patrons a historic and cultural Japanese experience. Prior to moving to the United States, Eiji Mori graduated from Gifu Commercial and Business High School in Japan, where he completed commercial and English studies.